With longer days, vacations and travel booked, and the sunny outdoors calling, up here in the Northern Hemisphere there are an increasing amount of opportunities for a good summer read. I cruised through my Goodreads list, and here are a few page-turners I have gone through lately. Geeks, unite! This is an entertaining and nostalgic romp through 80’s pop culture as seen from a gamer in the future. Adventurous, mysterious, and a little teen romance because why the heck not? If you are looking for something a bit more self-helpy, this is a good find as it is both informative and entertaining. According to the book, emotional agility is being able to detach, acknowledge, and move through uncomfortable feelings without having them consume your life. After reading this book, I was very much more at peace with routine negative emotions I encountered (Awkward situations! Disagreements with family an friends!) and better able to work through them rather than ignore them or drown them in cupcakes and mindless Facebook scrolling. This one is a good poolside or beach read. I’m a huge Tracy Chevalier fan; I love the language she uses and how she pieces together a historical story in a personable way that makes me understand and appreciate the character’s environment. This is a sweet, quick read of a young Quaker woman who immigrates to America in the mid 19th century with her sister, who is to be married. After her sister dies during the long voyage, the protagonist relies on the kindness of strangers and her new American Quaker community to make a new home in the new world, while becoming an advocate and support to the Underground Railroad. It’s a story of courage in unexpected circumstances, and how to follow your intuition despite outside pressures. I would say this series ranks up there with Harry Potter and the Narnia series if you’re looking for YA fantasy. I wish I had the opportunity to read this as a youngster, but I read it the first time a couple years ago and it absolutely haunted me, in a good way. It was one of those stories that I just absolutely curled up into and consumed. You know that feeling with a truly good book that speaks to you. The characters, the language, even the characters’ names and how the author used unfamiliar words as if in another language to convey you were in a world similar yet separate from your own. It’s a story of a prophesies, strange magical creatures, and parallel universes, and a young girl finding her destiny. Block out a good chunk of time for this one, because you won’t want to put it down. I had no idea who Gabrielle Bernstein was when this book popped up on my Audible suggestions list last fall. Apparently she’s a big deal. But I was going through a tough time, and the title of the book seemed to tell me what I needed to hear. I mentioned back in last year’s New Years Resolution post that I was seeking a new method of spirituality, and this was the book that finally opened the door for me. Full disclosure: this book is a bit high on the “woo-scale” for me. It’s a collection of guiding principles to help you reengage and stay aligned with the power of God/the Universe/the loving and creative energy force/whatever you want to call your higher power and potential. Maybe it isn’t quite what you’re looking for, but if you’re on the lookout for something else to spark up in your personal spiritual realm, this might be helpful. Since then, I’ve read this book and listened to the audiobook maybe 20 times. It’s full of encouraging reminders to keep me centered and on my own personal track. I’ll be honest, some of the stories and examples she gives are a bit first-world-y, but so are most of my problems so there you go. I do think that you can apply the general concepts of choosing love over fear to many situations. And I have to put a plug in for my girl-crush Melissa. 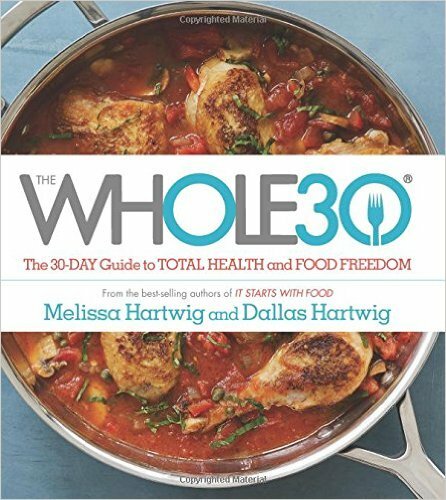 The Whole30 program has helped me so much in my health and wellness journey, and this was the book that finally put the last of the pieces back together – it’s not as much as about the program as it is what you choose to do with it. It’s the answer to the question, “Ok, so I did a Whole30. Now what?” Hartwig walks you through the whole process, from deciding to do a dietary reset to executing the 30 day protocol you choose to how to reintroduce the eliminated foods to how to use your experience to build a custom way of eating that works with you, putting you in the driver’s seat for your own food choices. Spoiler alert: sometimes a cupcake is a perfectly good dietary decision, but only if it’s worth it, and only if you own that choice. What are you reading poolside? It’s been a week since I visited the gym, and I’m starting to have those weird, jumpy energy bursts that indicate it’s really time to blow some steam off at the gym. I didn’t intend on skipping so many days, and I took Olive on a hike Tuesday morning, but I’m starting to feel that pent-up-energy feeling when it’s been too long since I’ve really worked out. I’ve been trying to catch up on sleep so I’ve been skipping the morning classes, and we’ve had a lot of last-minute plans in the evenings so I haven’t been hitting up the evening classes. I miss my CrossFit! But I’ve slept in for two mornings in a row now, and we have no plans the next few nights (fingers crossed!) so I think I’ll be able to pick up our regularly scheduled body-pummeling soon. In the meantime, reading about fitness is the same as doing it, right? I’ve had this book on my Amazon book wish list for a while, and just found out the library has a copy! I’m only about three chapters into it, and my mind is already exploding with the awesomeness. I’ll probably end up buying a copy when I have to return this one to the library, I want to make so many notes in it. Tons of great info about what the body does when it’s exercising, what types of exercise inflict certain system responses, and how your body fuels itself for efforts. Brain. Full. I’ve taken 5 million steps with my Jawbone this year. That sounds like a lot. 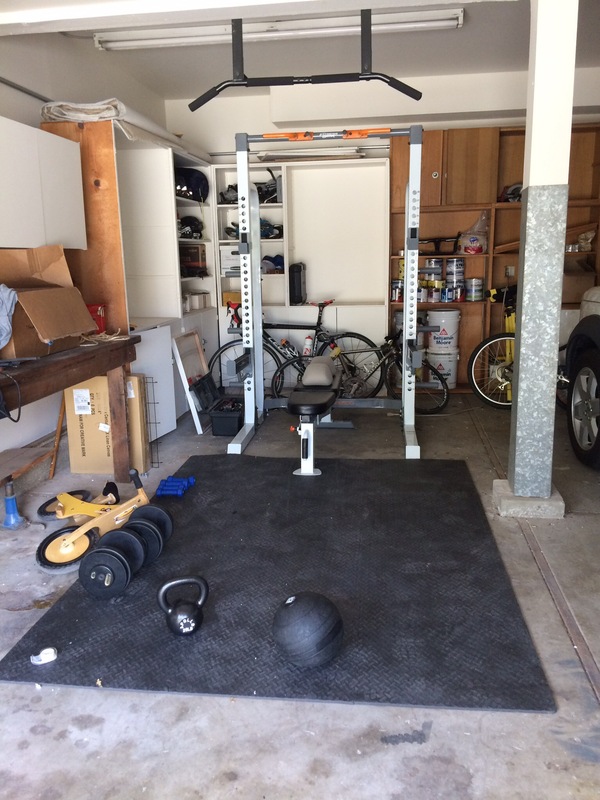 Yesterday I woke up and decided it was time to Lift All the Things. Squish and I headed to the garage gym for a good lift. Of course Squish came along because 1) he is now my alarm clock without fail coming in my room every morning at 6:30 and 2) to Squish, the garage is like a mystic land of enchantment with so many mysterious objects to play with and ponder. My reentry into the world of weights is loosely based on a recent grocery shopping experience. I went to the store to grab some Whole30 grub for the weekend. Since in my head I forget that I no longer live in the city and don’t need to physically carry all of my groceries home, I just threw food into my reusable grocery bags and when they’re full, I’m done shopping. I had two very full bags when I decided to grab a couple cases of sparkling water. I figured with a bag on each shoulder and a case in each hand I can do this, right? So I squatted on the floor to pick up the cases … And I could barely stand back up. So now I know that my one rep squat max is approximately two bags of groceries and two packs of soda, and I should probably work on that. 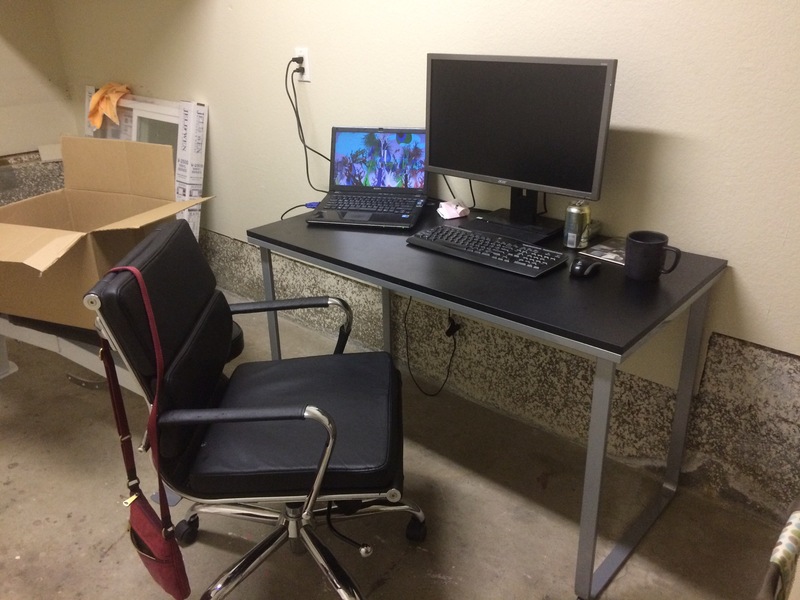 In other news, I finally have a “real” home office! So excited to work from home without the chorus of children playing interrupting my calls. The next step is to make it pretty. But I’m good with functional for now. I am on Day 15 of Whole30. Halfway there, woot! I’ve actually been cooking quite a bit and not trying to go the “can’t even” route as much as I want to. Except for that day when it was a bajillion degrees and we have no AC and I took the kids to the grocery store just to cool off. 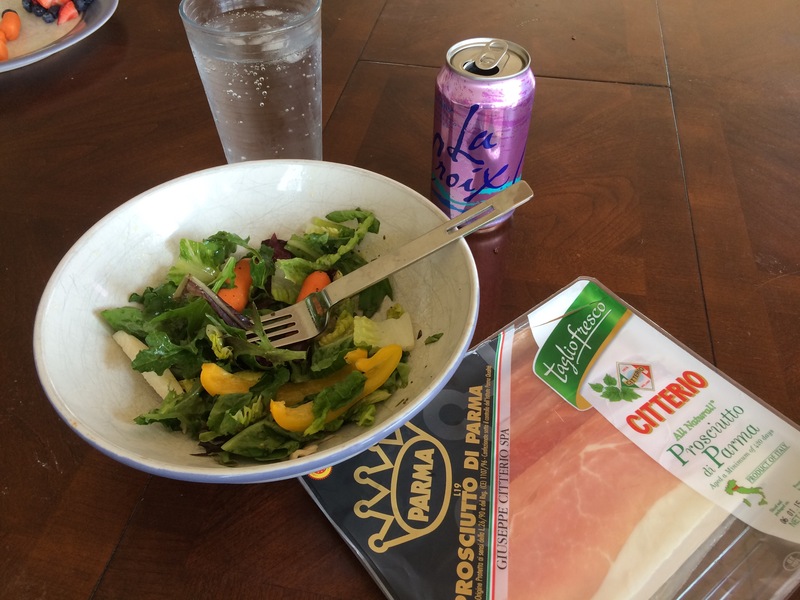 Then it’s prosciutto time. But on regular days when I feel like just throwing some chicken apple sausage on a salad, I question if that’s really all I can do, or can I roast up some veggies as well? Usually I’ll find the gumption to make some new food. 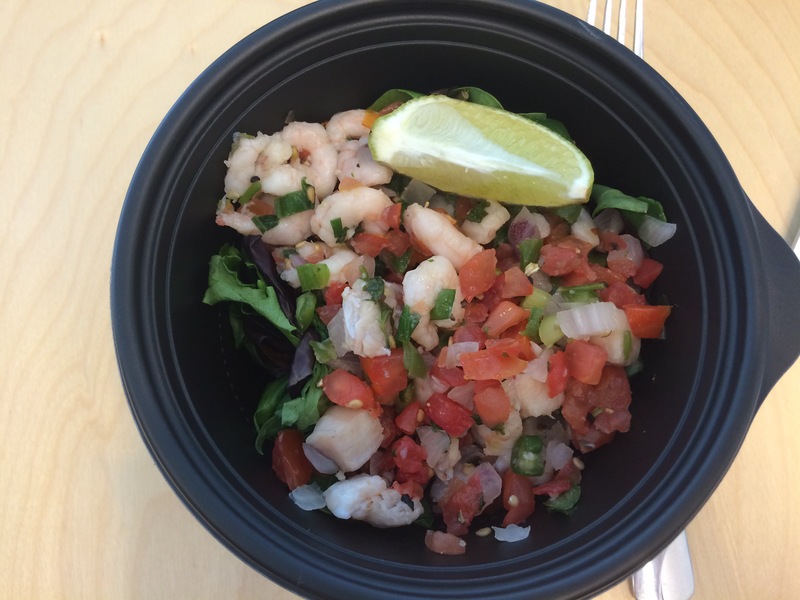 And if not, there’s always ceviche! The grocery store by my work just put in a ceviche and poke bar. I’ll be feasting on shrimp and tilapia if you need me. I just listened to the Calton’s interview on the Balanced Bites podcast the other day (I think it was episode 203? I’m a bit behind) and was really enjoying all of the geek-tasting info on different sources of vitamins and how they work (or don’t work) together. Plus if you order the book before August 31st you can get $200 in coupons to select whole food websites, so that alone caught my interest! 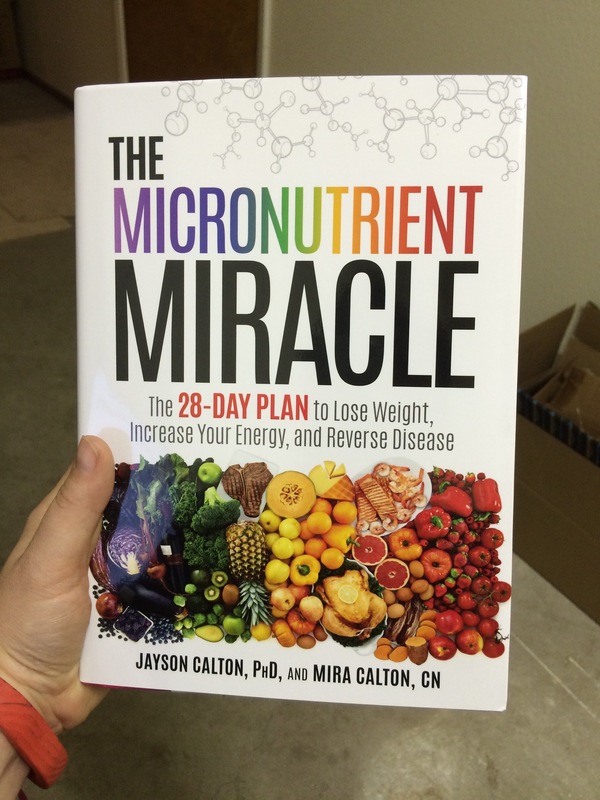 If you go to the book’s website The Micronutrient Miracle there is more info there on the giveaway. Not an affiliate link, I just think it’s cool if you’re interested. That’s all for today. Go make it a great day! Today I thought I would start up my weekly book review series again. A while back I was in the habit of sharing a book I’m into lately. Then I stopped reading so it was kind of hard to keep posting reviews. But this year I decided to start reading consistently again. I make time to read every day, but a few times a week I manage to carve out a few minutes at bedtime to snuggle down with a good book. Usually “book” means my Kindle reader, but I’ve been trying to go back to the paper book thing lately. While I like the convenience and instant gratification of the Kindle, there’s something about a paper book that has that sort of tactile satisfaction to it, you know? 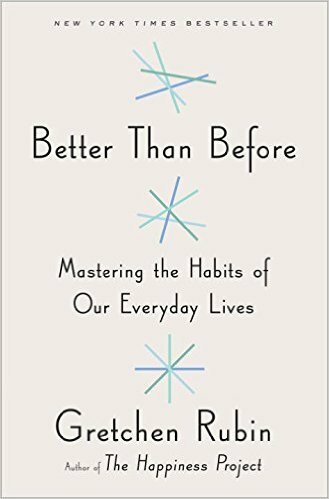 In “Better than Before,” Rubin sets out to figure out how people make or break habits. Why is it so hard to start a habit you really want to do, or break one that is detrimental to you? Why is it sometimes so easy to wake up one day and say, “I’m going to do this now” and actually DO it, whereas other habits take forever to take hold and eventually drop off? While this book was a good, fun read, it wasn’t one that I would call well-researched. The book was mostly Rubin’s self musings about how she sees the world based on her “research,” which from what I could tell, was mostly gathered from talking to friends and crowdsourcing from her blog. It’s interesting, but not really scientific. However I did get a lot from it by reflecting on my own tendencies and habits, which was helpful. 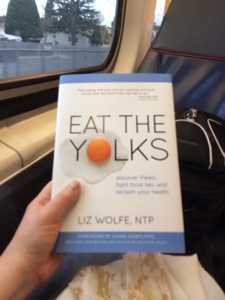 I would recommend it if you’re curious about how others think and take to habits, but if you are more of the “show me the data” science-y type you might want to pass. This book is exactly what you think it is. And then again it’s not. I mean, it’s definitely a book about how to clean and organize your home. 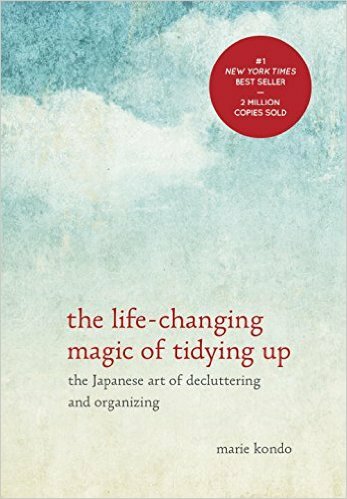 But in a distinct Japanese style and form, Kondo goes beyond “here is how you should organize your sock drawer” to encouraging you to treat your possessions with respect, almost in an anthropomorphized way. While I sort of have a difficult time saying to my purse “thank you for working hard and serving me today” when I put it away in the closet, I do agree and adore the attitude that you honor your things by taking care of them, and that your things should bring you joy so you should not keep things that do not bring joy into your life. This book will help that spark of a cleaning revolution within and make you super motivated to have a clutter-free and peaceful home. Drew Manning was sort of a big deal when this book came out a few years ago. He was the super fit personal trainer that wanted to take an honest look at what his overweight clients go through via a drastic method – to purposely gain a significant amount of weight then lose it all. This book was a bit more musings than storytelling in my opinion, but I loved Manning’s vulnerability and honest observations in his journey. If you’re a sucker for a good “transformation” story, this one is great since it goes through not only the physical transformation of Manning getting his body “back,” but the emotional transformation of viewing life from the other side and never being able to think the same way again. Plus, he just seems like a likable guy. I follow him on Instagram, too. His handle is @fit2fat2fit, and he posts some pretty inspiring/introspective stuff. So, you guys probably know by now that I’ve totally drank the Whole30 (real-food, no added sugars) kool-aid and have an unrequited girl crush on Melissa Hartwig. So it’s a no brainer that I’m all about this book. However, in the interest of at least attempting to appear slightly unbiased, I’ll pretend that I just picked this book up and am totally not sold on the Whole30 thing. Which is impossible so why don’t I just talk about what I like about it. Having done a couple Whole30s, this book is a great resource even if you’ve done it before. It goes through the program rules, timeline of what you can expect, lots and lots of Q and A, and even suggestions for common pitfalls and special circumstances (how to navigate a party or social event, doing a Whole30 vegetarian-style, etc.). My absolute favorite part is the kitchen basics section. Most intro level cookbooks feature a “here’s what you need for a decent kitchen” section, but they go beyond what brand of cutting board to use in how to make simple, basic food. Like fried eggs. And grilled chicken. And homemade mayo. Okay, except for the mayo I thought I knew how to do all this. But do you? DO you? All I have to say is my confidence in the kitchen (when I choose to be in the kitchen) has totally improved since I brushed up on these basic cooking skills and I thought I was a pretty good cook before. Oh, and there are also recipes and suggested meal plans. Tons of them. Even though I don’t always eat Whole30 (hey, it’s not a Whole365), I am a superfan and totally would push this harder on people if it wasn’t so annoying to have someone push unwelcome diet recommendations. 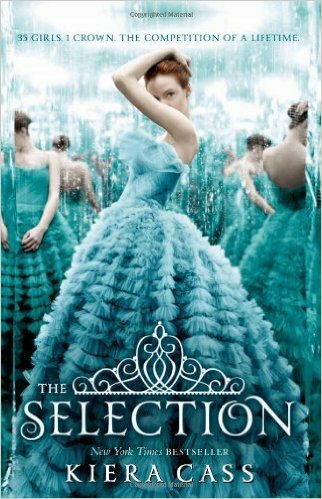 I stumbled across this book in a search for another dystopian young romance novel that is the hallmark of Young Adult fiction these days. 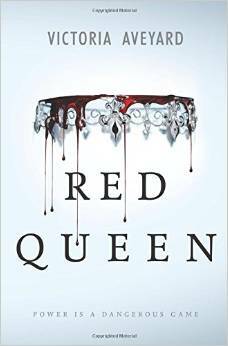 In this story, a girl lives in a world where humans are separated into classes based on their blood: “red” bloods are normal humans, and “silver” bloods have magical powers. And their blood is actually silver-colored. I think like liquid mercury. Anyway, the protagonist red-blooded Mare is forced into the elite Silver society through an unfortunate chain of events and must play the part of a lost Silver princess. Rebellion, espionage, battles, romance, and political power plays all in one story. While I found the dialogue to be rather dry and unimaginative, the story itself is quite gripping. I am eager for the sequel to come out next year (darn it! Such a long time …). I just started this one, and I’m already hooked. If “The Hunger Games” took place on the set of “The Bachelor”, then this story would probably happen. I’ll probably plow through this book next weekend. That’s what’s been in my library for the past few months. Maybe you’ll be inspired for your next good book! Go make it a great day (of reading)! The most happiest of mornings to you! I’m continuing our fun little book review series with one of the most life-changer books I’ve read in a long time: The Power of Habit by Charles Duhigg. Yup. This book is one of those life-changer books. I’ve been meaning to read it for a while now, and I so wish I could have read it sooner. Duhigg reviews research related to how habits form, good and bad, and how some individuals are able to change or break bad habits while others seem to be doomed to a lifetime of smoking, overeating, gambling, or what have you. It talks about how every habit has a cue, a routine, and a reward. Several types of habits are discussed and how they fit this cue/routine/reward model, from habits owned by individuals, such as smoking, to organization and corporate culture. There were also many surprises that I didn’t think of before, like how radio stations use habits to take a song and “make” the public like it. So sneaky. Let’s be honest here. 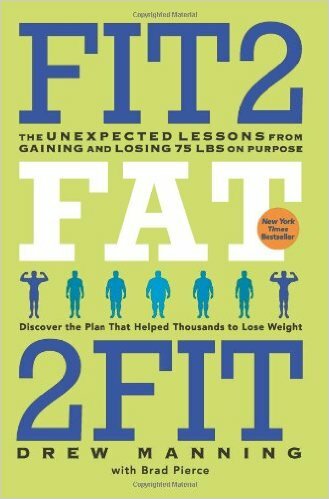 I wanted to read this book because I thought it would hold the secret to breaking some of my bad habits. And I think it does, I just have to, you know, apply them and stuff. It’s still work. But it was also a really entertaining read on the different studies Duhigg reviewed and the stories profiled from individuals who either made their lives better or worse by adopting new habits, good or bad. I plan on using the tricks discussed in the cue/routine/reward model to try and break some of the bad habits I know I fall victim to, such as hitting the snooze button instead of hitting the gym in the morning, or resisting eating when I’m not really hungry. I’d say it’s one of the most valuable books I’ve read recently for accomplishing goals. I rented this book from the library, but you can easily pick it up on Amazon if you’re curious and want to check it out. Okay, time to go out and enjoy this beautiful Sunday. Better go plan for the Easter Bunny’s visit next week!